This easy chicken recipe is SOOO good! It can be done in 15 minutes! Happy Memorial day you all! Hope you are having a fantastic long weekend. 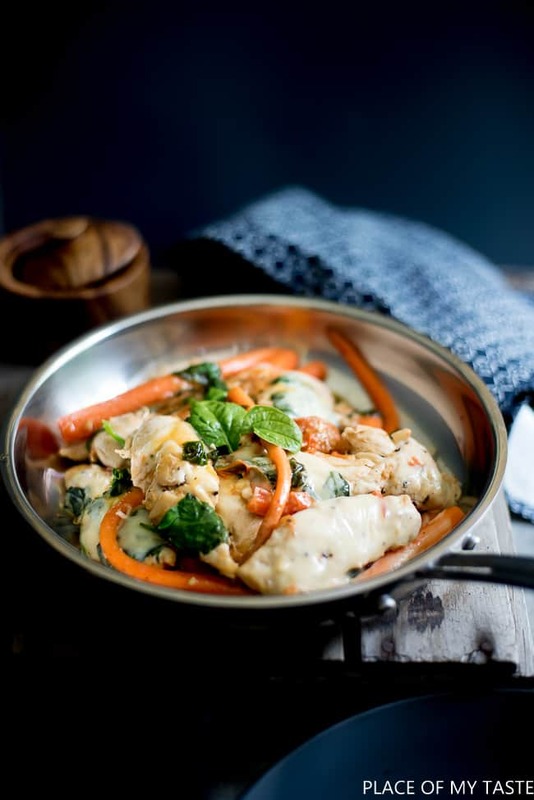 I am popping in today to share this yummy chicken recipe that I made the other day. SOO GOOD! And so easy to whip together! I have those days when I just don’t plan ahead. I mean I don’t plan my meals ahead. I have many of those days. I am a pretty spontaneous cooker and sometimes I have to get creative with what I have on hand at home. 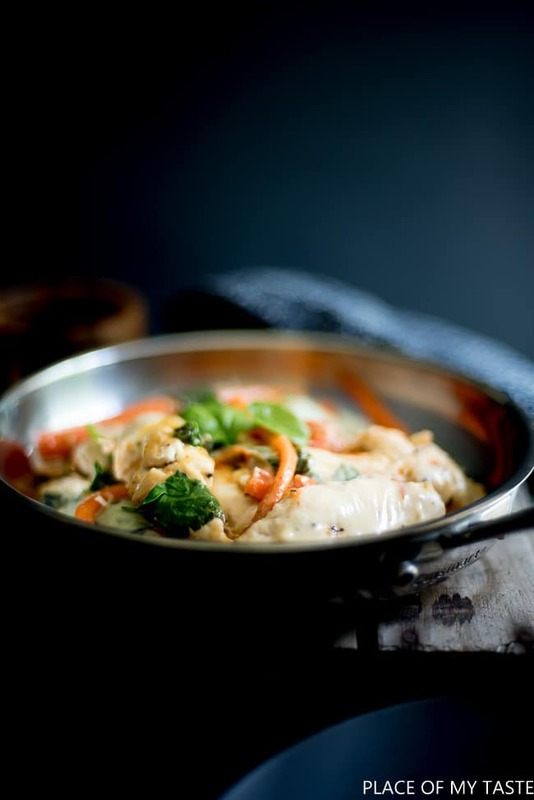 That is how this easy one-pan chicken dish came to live. I opened my fridge, and I used what I had. Luckily I have FRESH ( organic ) SPINACH growing in my backyard, and I used a big batch for this dish, and of course I always have chicken at home. Always. I love that the carrots stay almost crunchy while the spinach gets perfectly wilted. My hub licked his ten fingers off for sure! Perfect dinner for busy weekdays! Place chicken tenders in the pan. Cook in on both side for 5 minutes. Add salt, pepper and garlic to chicken. Add fresh carrots and tomatoes. Stir and cover for 5 minutes. Mix in spinach, cook it for 3 minutes. Cover the chicken with cheese and let it sit for 2 minutes before serving. Here is how you make it! Try it! I bet you and your family will enjoy it as much as we did! Hope you are having a wonderful long weekend. 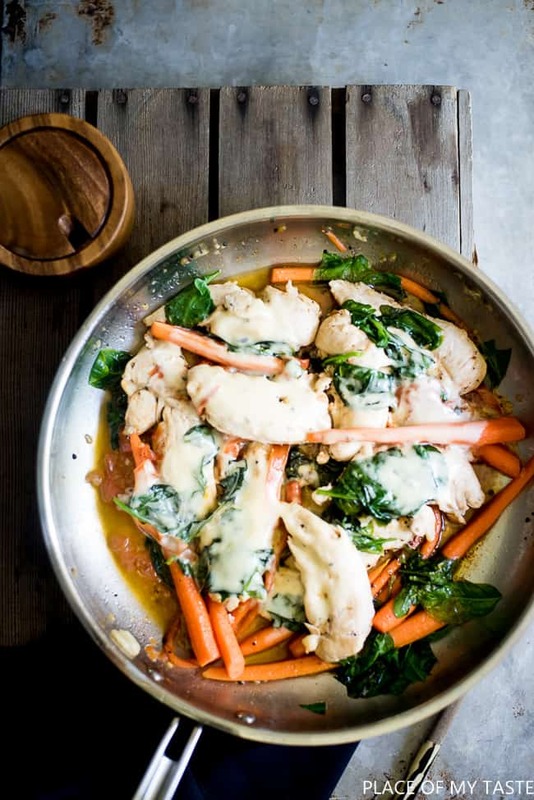 Thanks for sharing this delicious chicken recipe that looks so yummy as well as scrumptious.